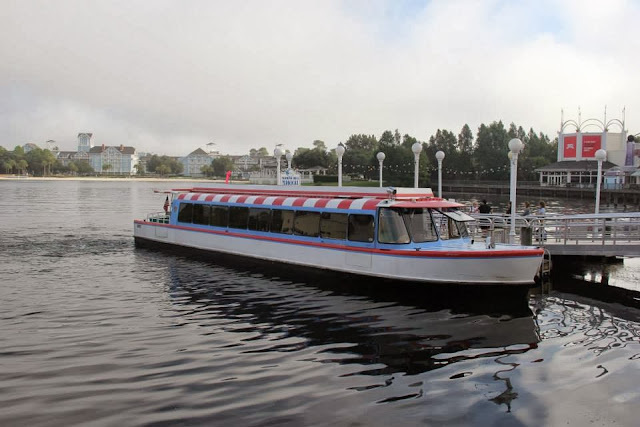 Cruisin' Crescent Lake with the Disney Friendship Boats | What's the Point? Welcome to those of you joining me from Focused on the Magic and those of you just hopping aboard. I am the 6th stop on our Magical Blogorail. It's FRIENDSHIP! Friendship! You're about halfway through this special edition transportation Magical Blogorail loop. 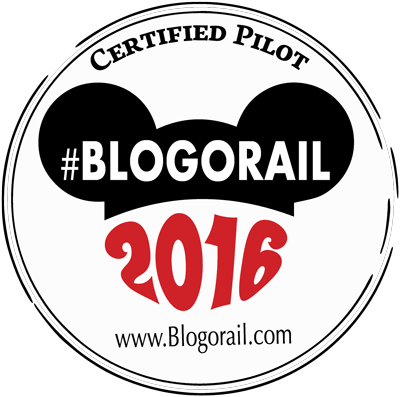 Since the Magical Blogorail is the happiest group of Disney bloggers in the world, we should talk about Friendship! Because friendship is sort of an elusive theme, let's discuss Friendship boats! Within Epcot, the routes are very simple. The friendship boats depart from the entrance (Canada to Morocco / Mexico to Germany) to World Showcase and head to Morocco and Germany. The resort friendship boats take you from the parks to the various resorts. While I love the friendship boats, there's one rather apparent downside to them: they are incredibly slow. You can often out walk the friendship boats, especially if you have to make stops at several resorts before reaching your destination. However, when your feet hurt at the end of the day, there's nothing better than a leisurely ride on the friendship boats. They are one of the many reasons why I prefer staying at the Epcot Area resorts. They are peaceful and relaxing. They are easily accessible for all guests. Thank you for joining me today. 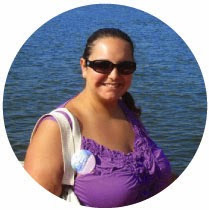 Your next stop on the Magical Blogorail Loop is Can Do It Mom aka Mouse Fan Diane. I finally rode a Friendship across World Showcase Lagoon this last trip, and I realized it's a great way to get across the Park! I've really been missing out! We do enjoy taking the Friendship to the Boardwalk and on to DHS too. I agree. The friendship boats are a sore feet's best friend! And if you can get to sit on the back in the open it is a wonderful way to end a visit to the park. I am a huge Friendship Boat fan! :) They are slow but sometimes it's really nice when you are tired. We took one from the International Gateway to Hollywood Studios on our last trip to rest and avoid the rain. These boats, while slow, are a godsend for sore feet! Ok question: Is there a Friendship Boat that takes people from EPCOT to Hollywood Studios? Or does it go from EPCOT to a resort and from there to Hollywood Studios? Great post! I love riding the Friendship boats at the end of the day heading back to the BWV. So nice to rest a little and savor the days activities. Another sentimental favorite for us; I love that the Friendship Boats FORCE us to slow down!! Yes it's great for that. It's a very stress-free form of transportation. Thanks for stopping by! Yes, it truly is. I found this is especially true when park hopping to Epcot for dinner. It can be a long trek around the World Showcase at the end of the night and it's truly a comfortable ride. Thanks for stopping by. That's a great point! Walking isn't always comfortable, especially in rough weather. It's a nice ride, and it usually is picturesque. I love taking photos off the back. True Dave! I love it. Thanks for stopping by! Thanks Diane! I loved playing with Vine this last trip. This was our first trip staying at BWV, and I absolutely loved it. The friendship boats were a BIG part of that! It really does. And I love taking photos off the friendship boats! I love the Friendship Boats. I think being a boat captain would be a great retirement job. We are going next week. Thinking of watching Fantasmic and then taking a Friendship boat over to Epcot to finish the day and watch Illuminations. Is this a bad idea? Not sure how crowded it would be after Fantasmic and how long it would take to get to Epcot. Thoughts? Thanks so much! Hi Erin! Thanks for stopping by. I don't think it's a bad idea exactly, I am just unsure what time Fantasmic is the night you're thinking about going. As I mentioned, they are at a bit of a "leisurely pace" so it will probably take close to a half hour. After Fantasmic there will be a bit of a crowd waiting for the boats. I would leave yourself at least an hour for the trip. You have two other options. If you don't think you'll be completely exhausted after your day at DHS, you can walk the pathway. It will take you probably about 20-25 minutes at a good pace. OR you can take the park hopper bus. Just remember it will leave you at the front of Epcot and you'll have to walk to World Showcase for Illuminations. I hope this helps! If you let me know what time Fantasmic is, I'll probably be able to give you a better idea. Fantasmic is at 630 that night, so should be over around 7pm. Are there buses at each park that will take you straight to another park? I am a little confused about that. Any help would be appreciated. Thanks in advance! That will bring you to the front of Epcot for an evening of fun. Whatever way you go, this is a great idea! No better way to end a day than Illuminations!